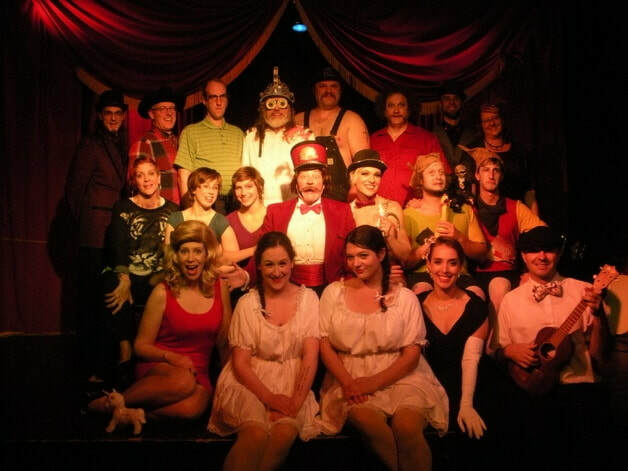 ​Conducted with a traditional Vaudeville format - a series of unrelated acts following in rapid succession - the Lord Franzzanian show is a huge local Olympia favorite. 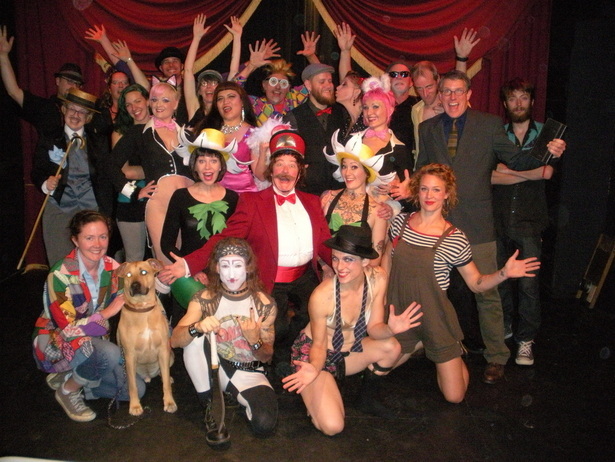 It gives performers of all types an opportunity to try out a new acts and new talents, and gives audience members an opp0rtunity to enjoy live, sometimes experimental, and often extremely funny entertainment. Read about the history of BigShowCity and the origins of the vaudeville show here. Everyone is welcome to participate. 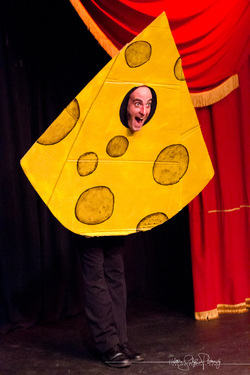 All types of stage acts are encouraged, from the traditional to the modern bizarre. Humorous and/or clever acts are a plus. Dance, song, puppetry, skits, acrobats, comedy, burlesque, mime, anything goes. 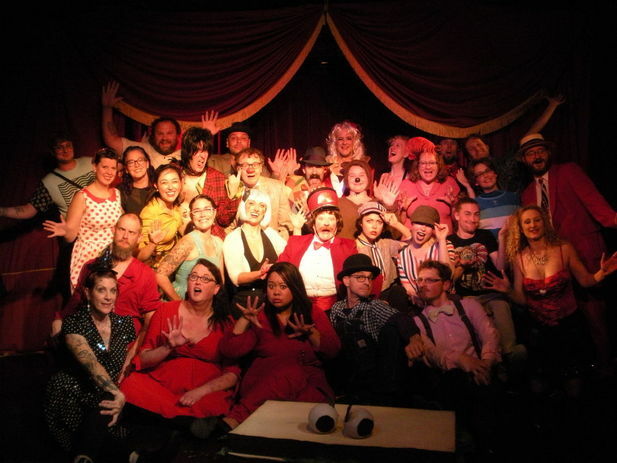 Now is your chance to be a Vaudeville performer or just look like one! Begin developing your act now! 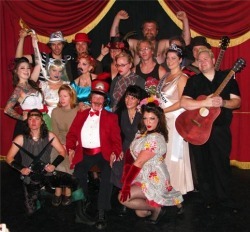 Elizabeth Lord created the Lord Franzannian Royal Olympian Spectacular Vaudeville Show in 2007 when she saw a desire for quick, short, one-act, entertainment in the Olympia theater/performance world. ​Come witness an exciting night of variety. 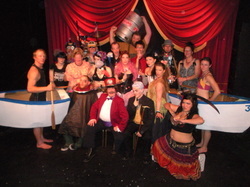 See dancers, singers, acrobats, storytellers, actors, musicians, and more. Show may not be appropriate for persons under 16 years of age, however there are two *Special All-Ages (Youth Audience Shows) on each Sunday, October 14 and 21, at 2 pm. All proceeds benefit local performing artists and non-profit theater organizations. No on turned away at the door for inability to pay full ticket price. This show usually sells out. Buying a ticket online is strongly encouraged. 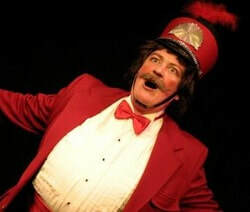 ﻿Questions ﻿about the Vaudeville show can be made here. This is a drop-in audition, no appointment needed. Please arrive by 3pm. People/groups will audition in the order in which they arrive. NOTE: Even if your "act" isn't fully formed or rehearsed, you are still very much encouraged to audition! Convince us that you have a plan...there are a number of weeks between audition time and opening night for you to perfect your act.....Don't be daunted....Bring your creative ideas! ALSO: If you want to be part of the show, yet cannot attend the audition time slot, please don't hesitate to call Elizabeth at 360-250-2721 so arrangements can be made. Video auditions also accepted. Simply email a link to your video to: elizabeth-lord@hotmail.com. She is easy-going, and really wants to see your act. ALL PERFORMERS SELECTED TO BE IN THE SHOW WILL BE PAID A PERFORMER STIPEND.